Last 23rd of February, Cafe Society & Lounge hosted a 3n1 party for me and Julian. I celebrated my Blog’s 3rd Anniversary and we also got to celebrate our Engagement and Early Farewell party along with the closest friends from blogging and Instagram world. It was a beautiful day and Julian & I wouldn't want to celebrate it any other way. I found out about Society DXB last November during their soft opening. The place is run by the most amazing owner along with Darell and Jovel who were behind our party arrangement. This place brings peaceful and kind vibes and I knew I had to come and visit again. When Julian arrived last January, we decided to do our prenup there because it fits our theme the most. Without any double thoughts, we chose this place for our 3n1 party and they didn't disappoint. From the smallest details to the decorations to the food, everything was perfect. Mind you, I didn't request for any design or theme but they know me to well to ask and they nailed it. I love how it was so elegant yet so pleasant to look at. We took almost an hour taking pictures of the place appreciating it and no one wanted to touch the table haha. At about 3 PM, Society DXB served the Afternoon Tea menu which consists sandwiches, savories, cakes, and coffee. We also ordered burgers, pastas, and steaks from their regular menu — everyone loved the food. 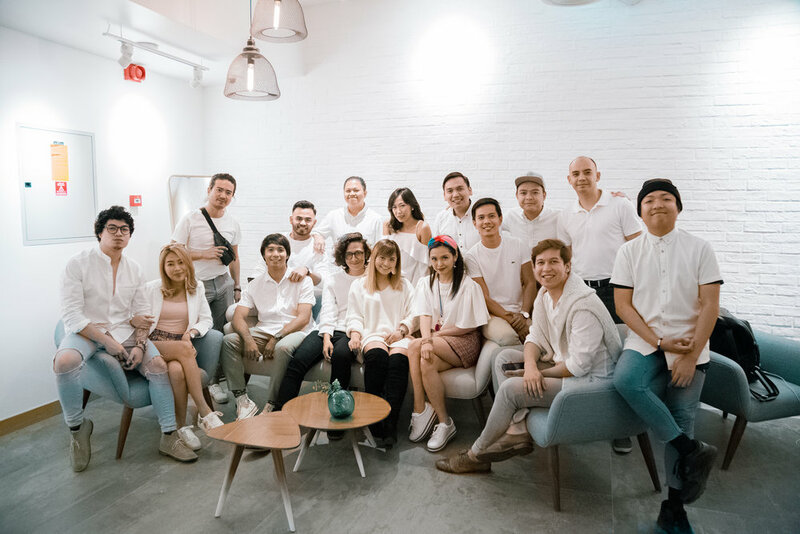 Because it's a super intimate bloggers event, we only invited the people who became a big part of my blogging career since Day 1 and those who became good friends with Julian over time. Again, thank you for celebrating with us. We appreciate your time and cheers to doing life with you all. Julian and I are blessed to have you and we treasure each one of you.